If you are involved in everyday use of common household appliances such as furnaces, refrigerators and air conditioners, you certainly have unidentified experience with condensate pumps (Source). These devices come in handy when draining water, produced by the operation of household appliances. Without draining, the vapor accumulated would cause dysfunction (Source). Condensate pumps work centrifugally. They transfer energy to fluids resulting in strong pressure and momentum, which pushes the fluid in the designated direction. Condensate pumps get their name from the fluid that they push – water from condensed steam. Choosing the best condensate pump can be an intricate process. A good product should provide enough horsepower to drive the fluid, have sizeable pump head measurements, and of standard voltage. To ease your search process, we have reviewed some of the best products on the market currently. 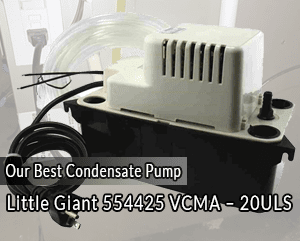 The Little Giant 554425 VCMA – 20ULS Condensate Pump is one of the VCMS series of Little Giant products. It is ideal for detecting, collecting and automatic removal of condensate from appliances including high-efficiency furnaces, humidifiers, condensing boilers and air conditioning equipment. Perhaps this product feature highlight is the ¼-turn check that allows servicing of the pump without necessarily removing the tubing. This allows for efficient water spill elimination. The pump also comes with a mounting bracket for easier installation and a safety switch that can be wired to an air conditioner system or other appliances. As you may guess, the safety switch is useful if the pump fails and the water level has reached an overflow point. The switch prevents the compressor from running by switching it off. This will prevent the tank from overflowing and possible risks. You will love the pumps’ 20 feet tubing and the 6-foot long power cord. The pump comes with rubber feet that are built to absorb vibrations when installed on hard-working surfaces. Its overly slimmer footprint size provides a lot of flexibility if there is a need to install in tight spaces. The Little Giant 554425 VCMA – 20ULS Condensate Pump is very resistant. Actually, it is heavier compared to other similar products on the market, probably due to the stronger materials used in its making. The pump is also quiet, a feature beneficial for those who are concerned with the sound level emitted by these devices. Setting up this condensate pump is quite simple and straightforward. There are clear instructions that provide for an optimal installation. The pump is automatic and does a flawless job emptying your condensation system easily. Yet another product in the VCMA series, the Little Giant 554401 VCMA – 15UL Automatic Condensate Removal Pump is designed for automatic collection and removal of condensate from refrigerators, dehumidification equipment, and air conditioners. It is a professional grade pump suitable for high-efficiency oil and gas fired furnaces as well as condensing boiler equipment. This pump provides a 1/50hp with a strong flow of 65 gallons hourly. Its collection tank and motor are made with durable ABS plastic that prevents damage over time. It also employs an automatic start and stop function with a check-valve. Just like our first product, the Little Giant 554401 VCMA – 15UL Automatic Condensate Removal Pump is easy to install and runs quietly. It also won’t be an eyesore in your space due to its slim nature. The pump is also easy to remove, clean and replace. If you are in the market for a low-grade and reliable household condensate pump, the Little Giant VCMX – 20ULST 554550 VCMX pump should be your choice. The pump gives a 115v and 1/30hp, a perfect choice for household appliances. It comes with a strong flow of 84 gallons per hour and a one-foot lift. It can be easily mounted on the wall or the floor where the pump’s rubber feet lessens vibrational noise. Having installed your pump, you won’t need to worry with your appliance running optimally. You can’t notice this condensate pump running, thanks to its quiet operation. The pump is also reasonably priced despite its higher lift capacity and better transfer rates compared to other condensate pumps. 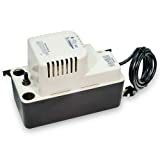 The Little Giant 554421 VCMA – 20 UL Condensate Pump is a good choice of pump if you need a pump for household appliances as well as heavy-duty uses. It works well for home furnaces as well as industrial dehumidifiers. The pump’s versatile nature is provided by the 115v and 1/30hp operation with a half-gallon tank that is made from durable ABS plastic that is not only durable but also rustproof. The pump comes with a 6-foot power cord that offers protection from thermal overload. 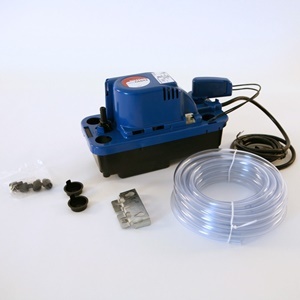 Like other best products on the market, installing this condensate pump is a breeze. You can choose if you want to install the pump on a flat surface or mounting it on the wall. When it comes to replacing the pump, you can do it easily by yourself. It feels overly lightweight and flimsy compared to other pumps. However, it will surprise you with its durability. It is an excellent option if you need an affordable functioning and long-term reliable condensate pump. Beckett is a well-known brand and a trusted company in the food industry. Therefore, you should rest assured the Beckett CB151UL Condensate Pump will provide the much-needed quality functionality. The pump comes with a 115v motor and boasts a 120-gallon flow rate per hour. 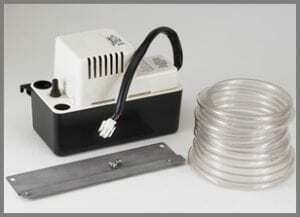 With this, even the largest particles will pass through the tubing without any trouble. Installing the pump is quite simple. Its plastic tank protects the pump from damage, especially when in heavy use. Despite being slightly pricier, this is a dependable product with great durability. Finding the right condensate pump for your appliances can be tricky, especially if you are new to this industry. There are lots of pumps and installation options available on the market with varying features, brands and price ranges. 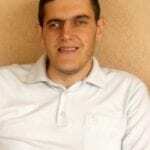 Before looking at the various factors to consider, it is imperative to highlight how condensate pumps basically work. Household appliances, including air conditioners, accumulate water as they operate. This water needs to be drained to maintain the conditioner’s proper functioning. This is the condensate pump’s work. Condensate pumps work by reducing the level of accumulated water when it reaches a certain level. The pump only gets activated when the water gets to the float switch. The condensate pump’s motor turns on, and water is suctioned into the impeller, which drains the accumulated water by rotating. With most HVAC systems, they are designed such that condensate pump filters water to an outside drain. However, not all are made this way. Steam systems, for instance, have their condensate pumps made in a way that water is directed into another area to be cleaned and recycled back to the steam area. The choice of your pump totally depends on your prevailing needs and where you want it installed. The following tips will help you find the right pump. This is an input that is used to energize the pump. When water in the tank accumulates and reaches the level set on the float switch, it triggers a signal to start and operate the pump until the level of water is reduced substantially. Once the level is reached, the pump automatically stops operating. Most pumps come with tanks ranging from 2 to 5 liters. Small pumps may not have tanks thus are placed directly on the drain pan to pump the condensate water. If you are looking for a pump for use in a heavy-duty setting, consider a pump with a large tank. Similarly, a small sized tank can be perfect for household use. Pump head measurement – this determines the maximum height at which the condensate pump can deliver a liquid to the pump’s outlet. GPH/GPM – this refers to the gallons of condensate water that the pump can remove in one minute or hour. You may want a system that removes 2 – 3 times more than the system’s condensing rate. Voltage – most household appliances have a standard voltage ranging from 115 to 120v. Industrial appliances may require voltage of up to 230v whereas commercial grade systems may require as high as 460v. Horsepower – standard household appliances range from 1/30hp to 1/hp. Extra features – additional condensate pump features such as automatic shut-off and thermal overload protection can be much beneficial. Some pumps also come with a removable check valve options that prevent the backflow of water into the tank in case of the outlet line level is higher than the tank. Long power cord and plug – this should be long enough for a convenient application. Stainless steel shaft that prolongs the condensate pump’s life. Many people easily forget their condensate pumps in appliances. However, like many appliances parts, these pumps need to be replaced. This doesn’t mean that you will have to replace the pump too often. If you are keen , you will easily identify when the pump isn’t working, and when to replace it. With continuous use, the pump’s motor may start failing, or the automatic float switch fails to turn on and off due to the accumulation of debris and dirt. The most obvious sign that your condensate pump requires urgent replacement is leaking. When it comes to replacing your condensate pump, doing it by yourself is possible. Installing a condensate pump is quite a simple process. You can follow the instructions in the manual to replace your condensate pump without asking for help from a technician. Condensate pumps play a very vital role among your household appliances. This is why finding the right device should be a priority. The first step to finding the right pump is determining if you will subject the pump to household or industrial use. You should figure out the lift requirements of the pump. Identify where the pump will be mounted and the discharge point. As a rule of the thumb, the output flow of the pump should be double the input rate from the appliance. It is also important to check the equipment’s manual for installation guidelines. This will come in handy for DIYers who don’t want to spend something extra hiring a professional. Lastly, ascertain your voltage requirements of the pump. That said, from our best condensate pumps reviewed above, which one is your favorite? Share with us in the comments section below.